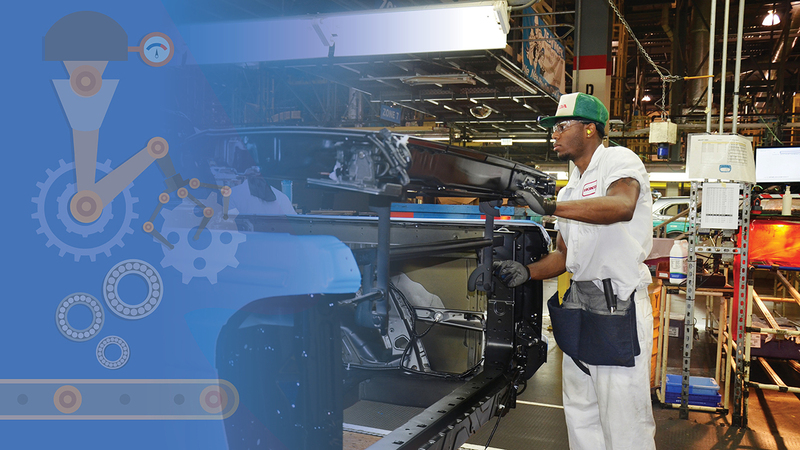 The state of Alabama and the Southeast have become a hub for vehicle manufacturing, and the Southern Alliance for Advanced Vehicle Manufacturing Center at Auburn University aims to provide a clear research contribution to a sector that is vital to the region and nation’s economy. SAAV is supported by numerous faculty members and graduate students. Greg Harris, associate professor of industrial and systems engineering, serves as the SAAV director. 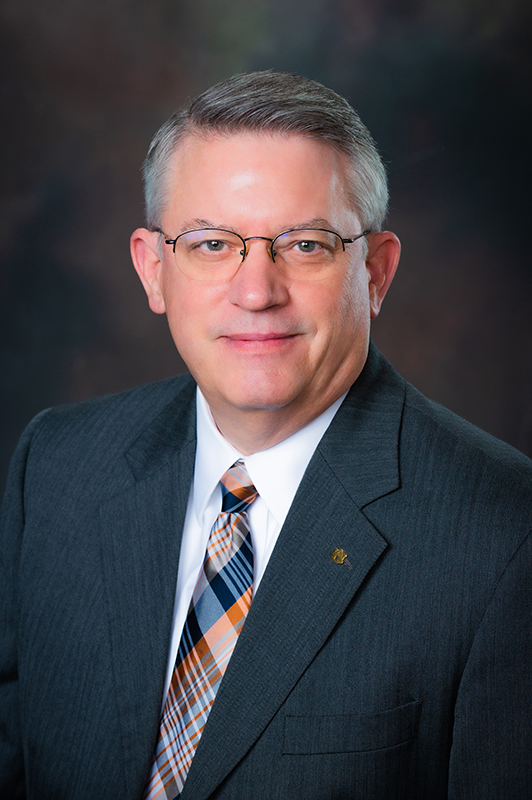 A 1981 graduate with a bachelor’s degree in industrial engineering, Harris returned to Auburn in 2016. Prior to returning to the Plains, Harris was the program manager for the Digital Manufacturing and Design Innovation Institute, a cornerstone of former President Barack Obama’s initiative to spur American competitiveness through next-generation manufacturing centers. Harris and SAAV are supported by faculty members Sa’d Hamasha, assistant professor of industrial and systems engineering; Tom Devall, director of auto manufacturing initiatives; Daniel Silva, assistant professor of industrial and systems engineering; and Justin Patton, director of the Radio Frequency Identification Lab in the Harbert College of Business. A group of 11 graduate students representing a number of Alabama-based industries are also heavily involved with the center. Harris and his colleagues are building partnerships with industry collaborators that will lead to technological advancements all along the automotive supply chain. “The alliance is working on real industry problems by using academic research to address those challenges while applying advanced manufacturing processes and technologies to solve manufacturing problems. An important goal of the center is to develop robust relationships between industry and academia,” Harris said. SAAV members have completed two projects and there are five active members with projects. Current active members include automotive original equipment manufacturer Honda Manufacturing of Alabama, automotive suppliers Brose Tuscaloosa Inc., Borbet Alabama Inc. and Arkal Automotive, and an electronics-manufacturing consortium that includes Universal Instruments. “The alliance is working on real industry problems by using academic research to address those challenges while applying advanced manufacturing processes and technologies to solve manufacturing problems." Government participants in additive manufacturing include NASA and the Army Aviation and Missile Research Development and Engineering Center. The completed projects focused on continuous improvement and development of a quality system (a more than 25 percent reduction in first-pass defects) and the implementation of a continuous improvement strategy and application resulting in the Brose Tuscaloosa plant being recognized as a Best Plant by the corporation. The company is implementing the Auburn-proposed system worldwide at more than 60 plants. Ongoing projects include supply chain simulations and production flow improvement at Honda, quality and productivity improvement at Arkal, Borbet and Brose, and reliability of various lead-free solder materials in mechanical life testing at Universal Instruments. In addition to solving serious and complex problems for these organizations, Auburn Engineering students are gaining extremely valuable skills. At this time, 100 percent of the students placed in these projects have been offered positions with the companies they were engaged with. To expand on this success, SAAV members also met in 2018 for the first Industrial Advisory Board meeting, with future plans to expand and collaborate with peer institutions and other corporations.